You can drastically improve energy efficiency for the kitchen in as much time as it takes to bake some cookies! Tips for dish washing and dishwasher efficiency: If you have a newer dishwasher, chances are it’s pretty similar in water usage to hand washing dishes, but avoid the heated dry setting to cut back on the overall energy use. Simply leave the door open after the wash cycle to let dishes dry on their own. Also, many dishwashers are programed to do very long washing cycles, so check the settings and make some tweaks to reduce running time to get the cleanest dishes in the least amount of time. I found that the ‘speed cycle’ on our dishwasher– which is still one hour– is about thirty minutes shorter than the regular wash cycle, and dishes come out totally clean. If you’re a hand dishwasher, be sure to change your faucet aerator to reduce the flow and cut the water use exponentially (by half or more). Energy Efficiency Tips for the Oven & Stovetop: No surprise here, the oven is one of the biggest energy users in the kitchen! Unless you’re cooking a Thanksgiving feast for 10, most likely you’re not using the oven to its full capacity. You might benefit from a smaller counter top convention oven, which uses a good amount of electricity too, but heats up faster, using less energy overall. If you can’t get a smaller oven, use the tips here to cook more efficiently in your oven. For your range, it’s important to follow the tips below for covering your drip pans and choosing the right coil size. We’ve also added some alternative cooking options. 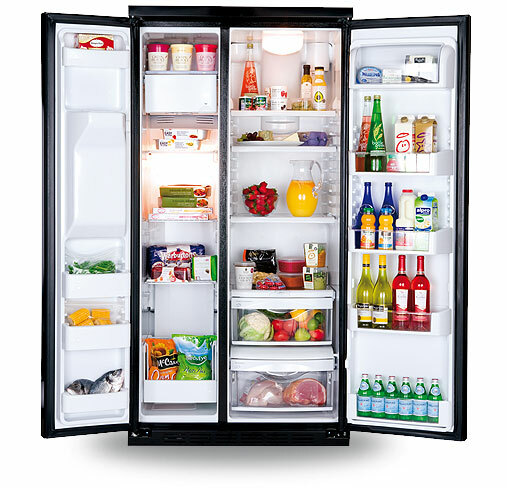 Energy Saving tips for the Refrigerator: Along with the stove, the fridge is one of the biggest users or energy in the kitchen, but it’s easy to cut the usage and drop your electric bill with simple tricks and tips to help your refrigerator run more efficiently and help you make the most of the energy needed. The list below includes some quick tips that you can do right now to ensure your fridge is running the most efficiently, or things to ask your Hawaii energy efficiency company to do for you. Energy Efficiency for the Microwave: Microwaves are actually the most energy efficient way to heat your food. Some would argue the health merits of microwaves are dubious, but for efficiency they really can’t be beat for quick heating and warming of foods.